Currently Treading Water and So Many FREEBIES! Joining up for my first Currently Linky party with Farley at Oh Boy 4th grade! I find that I'm drowning in another highly ambitious and busy school year, so to chill out I've been listening to the Beatles Love Soundtrack from Cirque de Soleil and Tori Amos using a great music app called, 8 Track. I’m a huge music fan and feel blessed to live in the city of Angels where I can catch so many concerts. Seeing Tori Amos with one of my besties this summer was a dream come true as was taking my parents to Beatles Love. Of course my parents are responsible for surrounding me with tons of music growing up. I’m sure many of you youngsters out there may not be familiar with what an 8 track is, but let’s just say it was a predecessor to the cassette tape, and almost as big as an old VHS tape. I remember it in some old car my family used to have. Gotta love that my students no longer know what a cassette tape is and that they were mystified by one that I used for listening center last year. But back to the free 8 Track app and website. Its playlists are all user created so you can find others with similar taste in music. I also find the algorithms are very good at recommending new playlists I might like which is surprising since I have such a broad and eclectic taste in music. I like it much bette than Pandora, Spotify, or iTunes radio. Are you a crazed music fan too? I love working with it on, whether it's cleaning at home, organizing my classroom after school or driving a long. There is something good to listen to for every mood I'm in. I also love to play music in the classroom, especially using Rick Morris’ songs and his music cue app to help my students, transition, or finish tasks up. Check out his post about it here. I honestly don't know how I'd survive without music. Which leads me to a memory and the Weird Al Yankovic Parody song "Word Crimes" on grammar that went viral this summer. Love it! I also have to mention one of my star struck moments when I first started teaching at this school ten years ago, was when my third grade team and I went to lunch at this local sandwich and pastry shop and Weird Al was there too! One of the walls was lined with signed photos of celebrities who frequented there. It is surprisingly common to run into or meet stars here in Los Angeles and I can’t even keep count of how many I’ve seen or met now. I’m loving that it’s finally cooling off for Fall here in Cali. It was a hot summer with over 100 degree temps the past few weeks and my central air is being fixed. It’s been hard to do any work or grading at home so I was staying at work a little longer or having dinner out at a cafe with wifi. For now I’m grateful for a portable window unit to keep the bedroom cool. 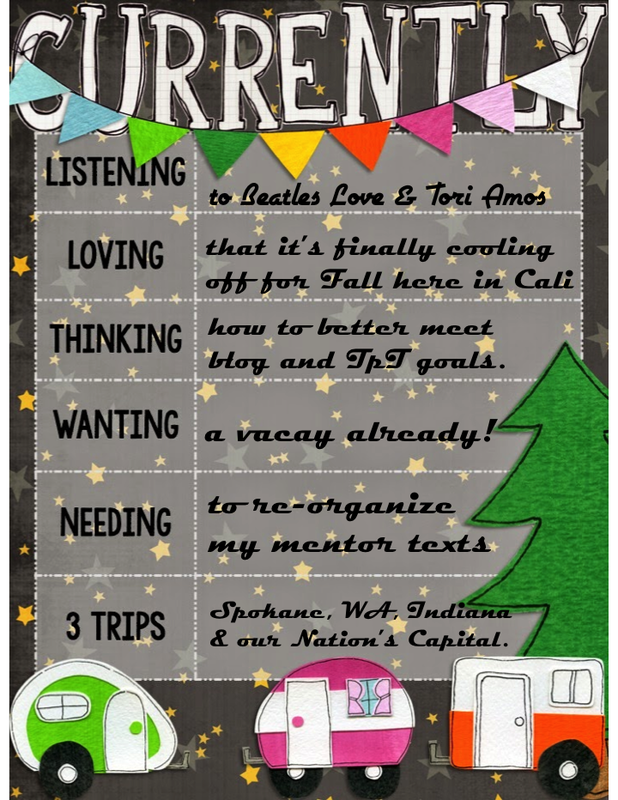 I’ve been thinking how will I ever keep up with my blog and TPT goals with another new school year and it feels even busier, than any before. 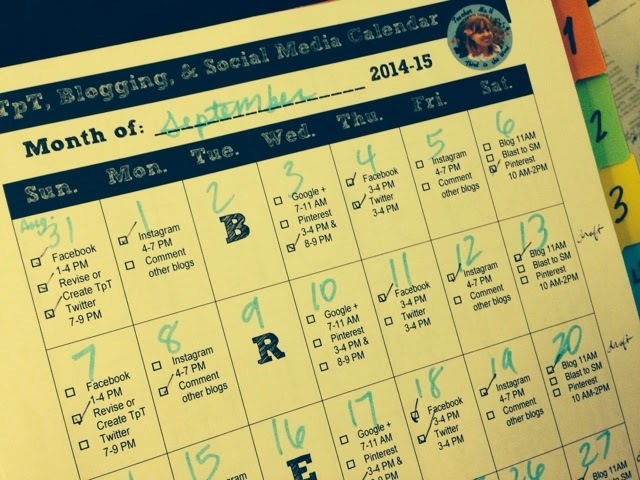 So I created this editable Blog, Social Media and TpT schedule for myself that I’m also offering as a FREEBIE below. I have to mention that this is no ordinary schedule, its actually based on lots of research I did to find the best times to post on social media, taking into consideration a teacher work schedule. I left Tuesday blank, as it happens to be an early release day at work, for our weekly meetings, professional development and planning time. Sometimes I don’t leave work until 5:30 on these days so that leaves little time to work on my blog. You can easily edit this document to suit your needs and download the matching script block font it you like as well. So far this has helped me stay more organized and focused on my goals. I'm also using this sheet and FREEBIE Seller's Goals and Milestones from Math & Science with TLC, to track my progress as a seller. 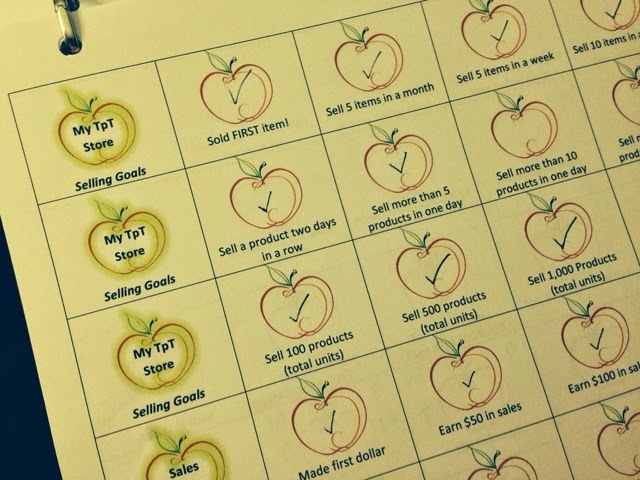 The best part is that this sheet is editable and it's fun to check off each apple as you surpass your goals!!! 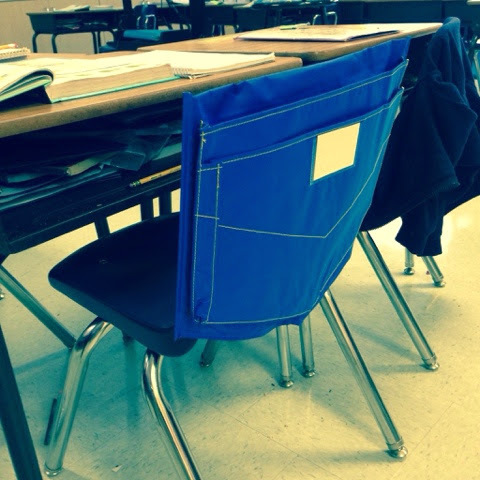 I need to reorganize all my mentor classroom books using the extra book bins I have now after getting my kiddos these awesome chair pockets you see pictured below. I got them from Learning Resources and the were on sale! I recommend the medium sized pockets for grade 2 or 3 chairs. It’s been so wonderful since these beauties arrived! No longer do I have to hear book boxes toppling over, nor do I have to run into them when students place them on the floor. Now they have these to hold their books instead! Not only that I’m reorganizing my classroom library to include new shelf and books that came in. I found these super cute black and white chevron themed book labels that come with pre-made labels and another file to edit. 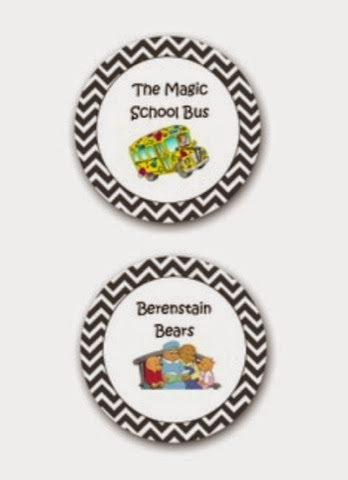 The best part is that they are offered for free by seller Andrew Juranek on TpT. After printing, laminating, and cutting these out, I will use this extra wide packaging tape that I found on Amazon to attach them to my book bins and boxes. I want to go on vacay already! This school year has been quite busy. These are the three trips I’d like to go on in the near future. (Dream trips are on another list and something I save and plan for every few years.) First to visit my brother and his family near Spokane, Washington, next to see friends who moved to Indiana and finally tour our Nation’s Capital. Besides my brother’s real job he has a weekly radio show and I will get to be a guest co-host on his show sometime. I was able to guest DJ with a friend on a college radio station back in the day and it would be fun to do it again. Also we love catching concerts together. 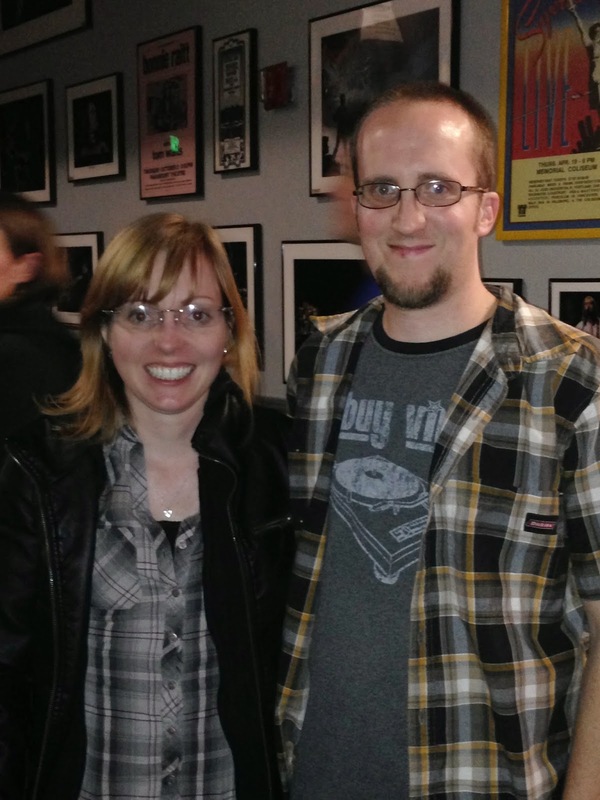 Last year I was able to see Metric play in Portland, Oregon with him and his wife. Easily one of the top five shows I’ve seen and I have seen a lot of shows! Here's a pic of us at the show last year. Well that’s it for my first currently. I will be back soon with a post on all the cool math stuff I’m doing with my students. TTFN! * This post contains affiliate links to Amazon. All other links are unpaid and and just additional recommendations to some of my fave products.